Deluxe Litho Plate Edition Comes Bagged and Boarded includes a copy of Tarot#96 (either Cover A or Cover B) and b/w 6.5"x 10 " litho of Jon," Skeleton Wolf ". 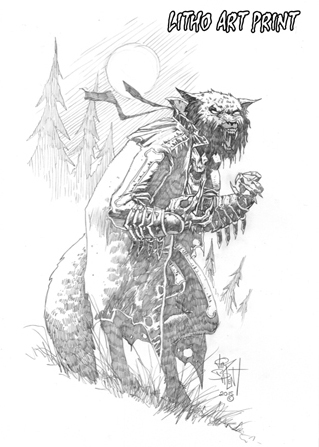 This Limited Collector's Litho penciled by the Artist himself, Jim Balent! Comes Signed by Artist. Limited to a printing of 500.